I am interested in distributing the ownership of a highly visible artwork through collaboration, network building, and open source development. The exhibition will be held In New Cross during the Goldsmiths Masters of Fine Arts Degree show. My research as a graduate student has led me to concerns with the production of artworks through a distributed means. I am asking the London RepRap community for help with my degree! I have worked on a file to create a Geosphere that is roughly larger than three meters in diameter. 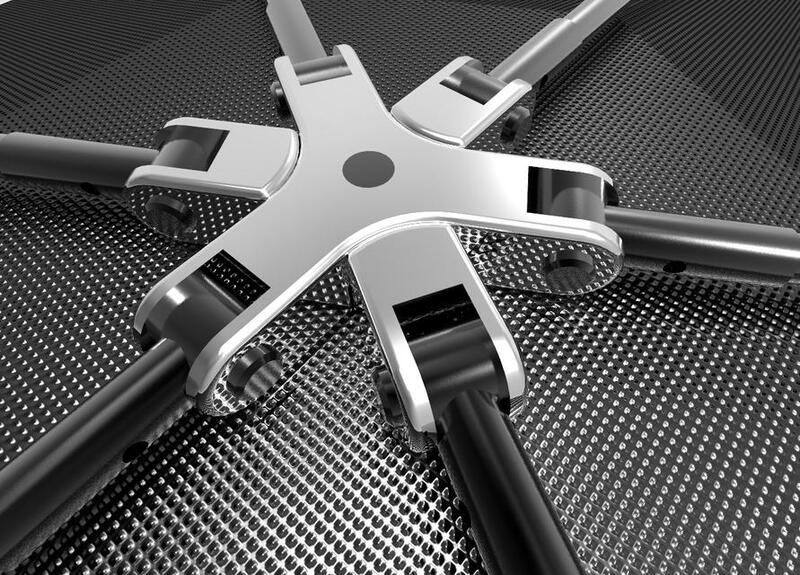 The nodes of the intersecting rods will be made of 3d prints. I believe the printing should be distributed across London. Through this process I hope to connect a network of artists, designers, and makers to a greater community. Your deadline is extremely ambitious, and the prints are quite large. How big is each node exactly? Are you looking for a collaborative partner, or will there be payment for the job? I am asking for generosity but also understand that RepRaps don't always print without problems (problems cost time and money). If a fee is required for the print time, I would be interested in quotes. I would prefer to find as many collaborators as possible to help create the work. 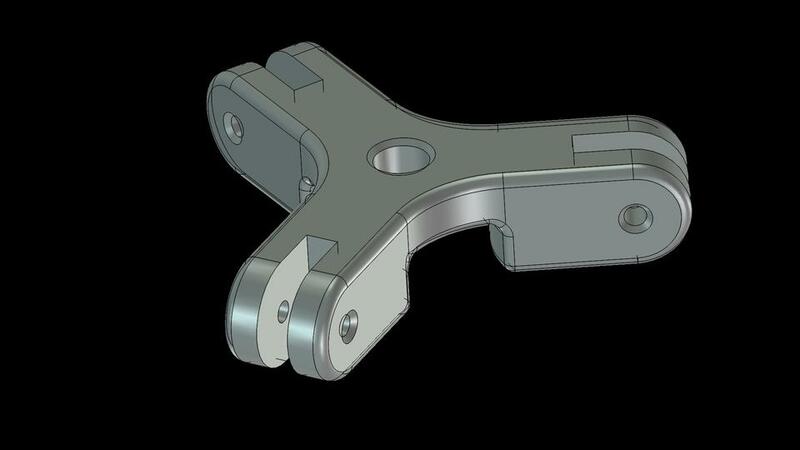 This project would require coordinating our efforts so that each edition of brackets do not contain any extra prints or wasted efforts. Ideally, the work would be better if members of the RepRap community would like to take ownership of the project or stimulate new ideas for future works. It would be good to find collaborators but I can provide compensation for materials and expenses as long as it is reasonable. Maybe it is too ambitious to create the work by the deadline stated above... Lets give it a try. I am ok with it being a work in progress if I don't have to compromise the core principles of the work. I have attached a screen shot of the dimensions. Ill post the file on github or thingiverse for people to download. 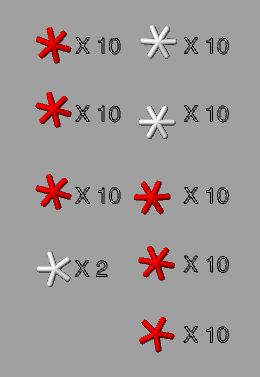 There also needs to be a way to coordinate with others so that we don't accidentally create too many of one kind of bracket. Personalization and edits to the prints are encouraged as long as it does not compromise the points where the rods connect. (unless you have dual head & some support material to waste). what are the tubes made from? how big? Even these could be improved upon as they weren't designed for printing. Edited 5 time(s). Last edit at 06/10/2018 06:50PM by MechaBits. I kinda suspected that the print would need support material... requiring a lot of clean up on my part. I was thinking that maybe the files could be redesigned with a flat bottom and printed without support for the holes. I have printed some holes like this before without supports with some success. After the revisions to the underside, a well tuned printer could do this with no problems... but most printers would have a little trouble. I will throw my hat into the ring... I'm not London based, but I can help with design work and other aspects. Drop me a message and we can discuss. Yeah it would need to be flattened, Origamib might have other ideas, will be interesting to see what you come up with, if the tubes where bendy(i was thinking fishing poles/fibreglass rods, you could still approximate a sphere, but you might need them stiff for display. is this more about the process than the Art, would be perhaps better if you where creating an actual unique piece of art rather than a bucky ball thats been done to death, it is a Masters after all. I have a person in London willing to let me borrow his machine for the project. I am still looking for contributors. Some are willing to make changes to the file for better printability. Edits to the file can be uploaded so that everyone can have a look. You can do this by putting a link in the google doc and on the forum. Just keep us informed. With the individual nodes, I would be open to include more sculptural decorations or text elements. It could be nice to see each node reflecting the tastes of their contributors. Once we get to the printing stage of the project It would be nice to keep track of who does what. So I have made a google doc that we can make edits to. If you wish for people to contribute more, I think you need to include some design aids. For example, the relative angles needed of each node where one plane meets another. 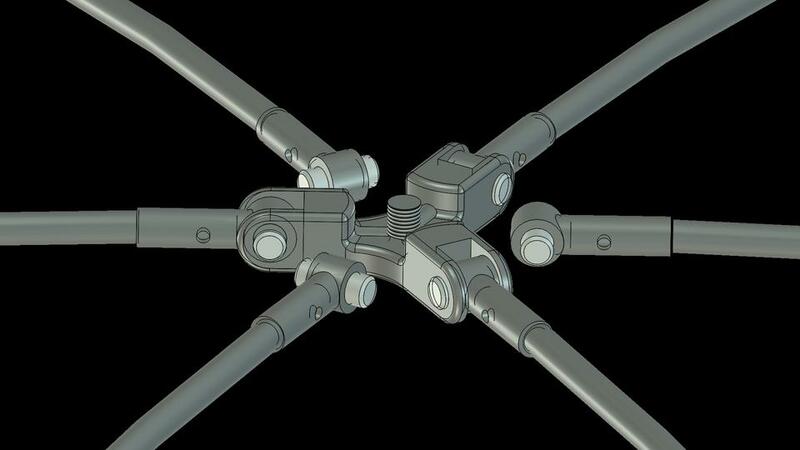 The hubs are easy to design as long as you know the exact angles needed. 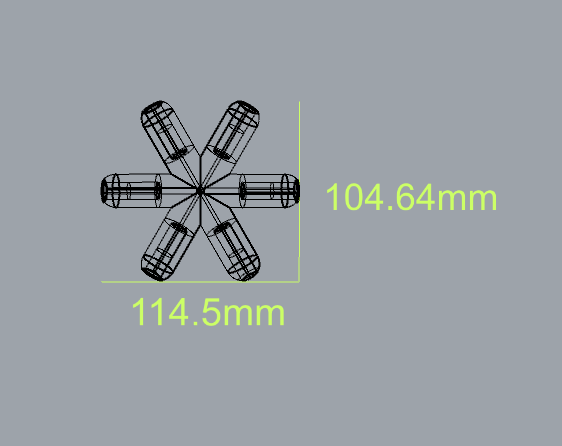 The finished piece will not be tolerant to angles being slightly off, so if you want unique hubs designed by a few people it is quite important to check that they have got the angles down! Also, what is the end goal of this project? How will the art be displayed, and how will contributors be recognised for their input? Have you considered total printing time? The number of nodes you need may be quite impractical. If the deadline is missed, what will happen to this project? I am thinking I might save this project for a different show. I don't have the dates yet but it should be sometime in September. It's not a degree show but a group show with other international artists. Sorry fort the rush to get things rolling. It was naive of me to think this could be completed for my degree show. I have other works of my own and a similar community oriented project that I will be exhibiting instead. I want to keep working on this idea of collaborating with open source communities. What should the design aids look like? maybe a line drawing with some text? I can take the existing drawings and reduce them to line drawings and text which explain the amount needed and where on the model they exist. 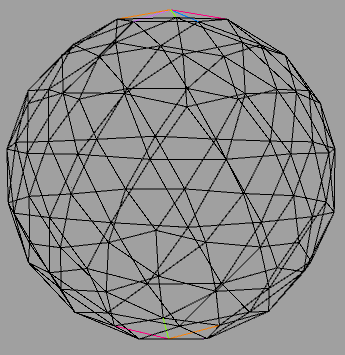 The current geometry of the nodes work. But given the limitations of starting with a readymade file, I wonder if people would just prefer to begin with something from scratch? The end goal of the work is to open art viewers to the idea that an artwork can be created through networks and not just a lone artist in their studio. I like that the work can be made with a wide distribution of collaborators which include designers and print technicians working together. I think that as an artist, I should open my practice up to the idea of working within existing networks which reside outside the realm of "blue chip" galleries and artist studios. I think that distributing the work to an open source platform demonstrates how easy things can be made through collaboration and shared ownership. I am interested in automation and the idea of reducing manual tasks as a way of liberating the worker (Think of the Jetsons, post work, and fully automated luxury communism). I thought I could make collaboration easier by using a readymade (such as the well recognized geodesic sphere). I contributed my own bucky ball design as a starting point but we can definitely transform this thing into something more interesting. Perhaps we can take a facebook poll on this issue? I think photo documentation and records of correspondence can be made available on a separate page on my website (including links). I would be interested in making a template for how to do this exactly. I will include documentation of the individual component and text about its contributors. I would have a nice photo of the 3d print and some text about who was involved in the designing and printing of the piece. There can also be more interesting goodies like links to the file for anyone to print. After we determine the personal costs involved, we can also decide on what percentage of ownership a collaborator has. This will be important if the work sells. I think I should open the printing to the international community. Shipping won't cost an arm and a leg and I would be happy to cover those costs. I think the design can have a sense of uniformity with the option to embellish or decorate the file with more interesting features. I am certain that more accomplished designers can alter the file completely to match their own tastes (I am 100% open to the idea. As a sculpture technician, I can make it work when it comes to installing the piece). Let me know what else I can do? Should I get started on writing instructions, design aids, and a template for crediting the other artists? By design aids I mean supplying sketches, diagrams, technical info, specifics of materials, any necessary measurements and angles. Basically making the process for each maker easier, and making the project more accessible. There is no such thing as too little info! For me, reimbursement is not as important as recognition. Knowing that my work could be tied to a project that is larger then myself is important, and I imagine it will be for others aswell. Contributors will likely be interested in what they can gain from this, and not in supporting one persons art project. For example, if it will be shown in a gallery or prestigious location with high foot fall that is quite a benefit.